The rotary quern was perhaps the first labour-saving device. 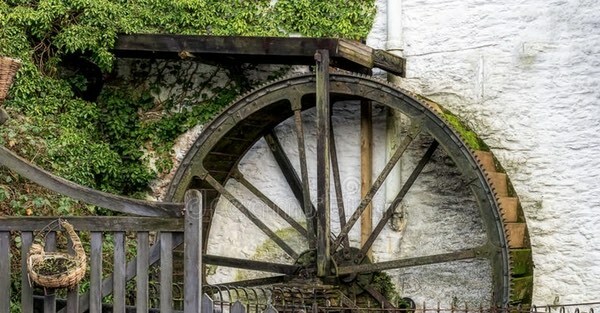 Using water power, rather than muscles, to turn the millstone made it even more efficient. Without watermills, it is doubtful whether ancient Romans could have enjoyed their bread and circuses. Because they require capital investment and skilled workers, watermills also set the trend for concentration in the food industry. Like it? You can support the show directly or via Patreon. Michelle Bergmann liked this article on twitter.com. merryn liked this article on twitter.com. A large slave-driven mill could grind seven kilograms of flour an hour. A watermill multiplied that twenty times or more.